Height: 21cm (8″), Width: 35cm (14″), Length: 183cm (72″). Height: 22cm (8.5″), Width: 45cm (17.5″), Length: 62cm (24.5″). Height: 23cm (9″), Width: 41cm (16″), Length: 63cm (25″). 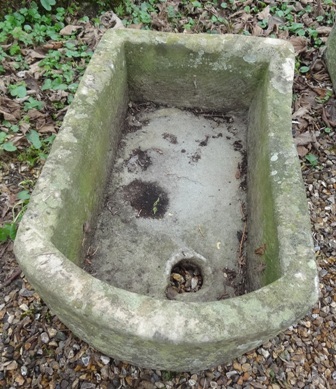 D Shaped Trough Height: 40cm (16″), width: 78cm (30.5″), depth: 74cm (29″). 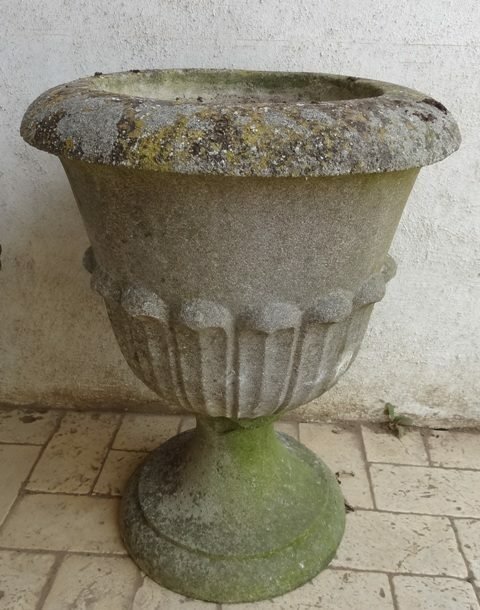 Composition Stone urn with stiff leaf decoration on a rounded socle. Height; 56cm (22″), diameter at rim; 43cm (17″). 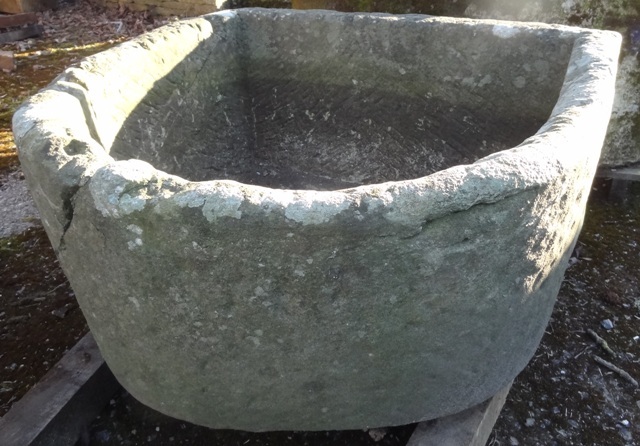 Antique Limestone Trough Length: 144cm (57″), Width: 100cm (39″), Height: 54″ (21″). 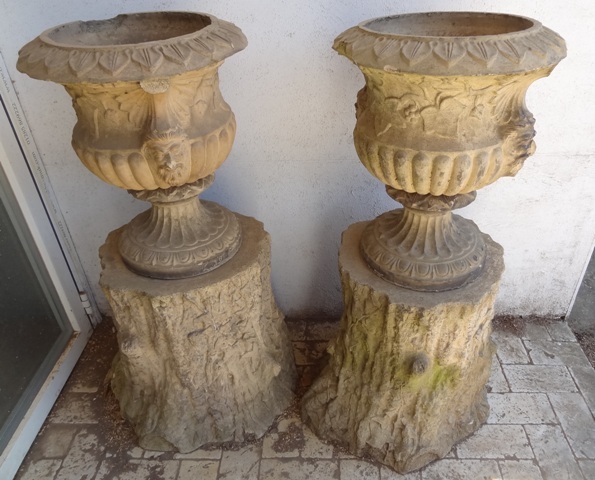 A pair of 19th Century Terracotta Urns on Plinths. Overall height: 102cm (40″). External Rim Diameter: 41cm (16″). 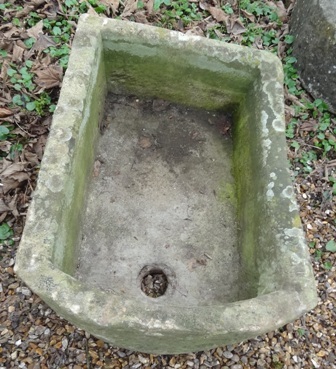 Antique Limestone Trough Height: 35cm (14″), Length: 182cm (71.5″), Depth: 61cm (24″).